September 26, 2018 happyhappypbjLeave a Comment on Why Happy Happy? Hello for the very first time! As you will see I am a new, very amateur blogger. I ping ponged the idea around in my head for a while, and debated whether or not I should bother. Let’s be real – I probably have nothing to say that a ton of other bloggers haven’t said, I don’t think I will have life changing advice for you either, but you will meet a real, honest person and hopefully I’ll inspire something positive in you. Once upon a time my 18 month old son (this is the first of probably a million stories about him, sorry not sorry 😉 ) is learning every word out there. Everything he hears, he repeats as many moms and parents find out. My tiny, adorable, wild little mocking bird. I’ve been trying to teach him songs with motions and we began to sing “If You’re Happy and You Know It.” he caught right on with the clapping and stomping, and shouting amen (that sounds more like ‘AYE-MEYYN’ haha). He didn’t really sing the song with me, but just participated in the boisterous parts. A day or so later he was strapped into his carseat in the back of my big blue ‘burb (suburban…my muscle van) and I was just having a rough day. Not sure exactly what was going on but I could feel the stress creeping up my neck and settling on my shoulders like a ton of bricks. Then, in the midst of all my turmoil and adult frustrations, I was sitting in traffic and my sweet little guy just sings out in soft, high voice. “happy haaapyy.” And then again, “haaapyy haapyyy.” he shut me down right there. In the middle of the chaos of another ordinary day, with ordinarily boring and negative instances, my not-quite-two year old stopped me and my pity party train and reminded me that there is so much to be happy-happy about. His sweet little sing-song voice trumped the noise and stress clouding my head and in that moment I shed a couple tears (lame, I know). All of my problems and worries melted away and since then I catch Nash singing “happy-happy” all on his own. He sings it to himself in his crib in the early morning when he waits patiently to be picked up, he sings it to himself while he plays, and he sings it to Mommy in the car on the way to wherever. I hope that in writing Happy + Happy I will be able to bring a sprig of joy and light into your day or life. I wanted to lock up that moment of pure, sweet, straight happiness my little human sang to me, but I feel that I need to share it, and maybe in this way it will grow. So there you have it. 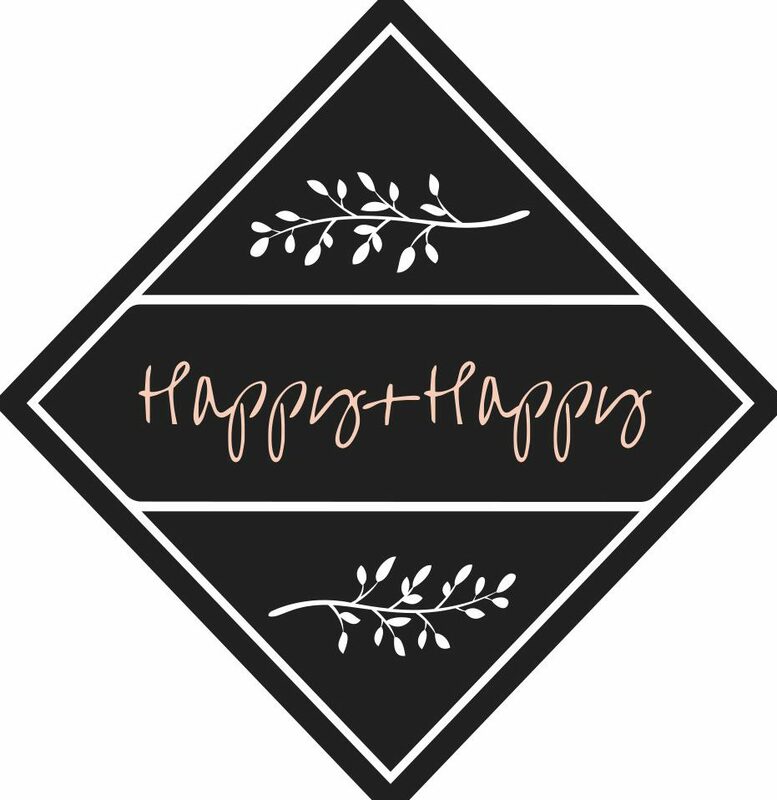 The explanation of “Happy + Happy.” In the next few posts I’ll share a little more about who I actually am, about my life, and whatever else happens to cross my mind. I can’t wait to share more “Happy+Happy” with you!